The World Baseball Softball Confederation (WBSC), the world governing body of the sport, announced the cities and dates of the 2016 baseball world championships, which include the U-15 Baseball World Cup, the U-21 Baseball World Cup and the Women’s Baseball World Cup. The III WBSC U-15 Baseball World Cup 2016 will be staged in Fukushima (Japan) from 29 July to 7 August. 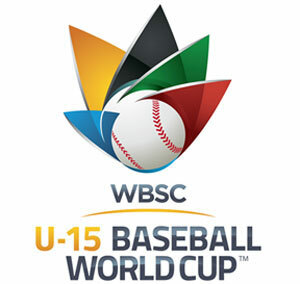 The WBSC U-15 Baseball World Cup platform features 12 nations, qualified by continent, and is the pinnacle international baseball competition for players between the ages of 13 to 15, with the most elite players selected to represent their countries on the world stage. “This is an unprecedented time for the growth and globalization of our sport, and WBSC takes very seriously its role to expand opportunities for our women athletes who want to shine and showcase their skills at the world level,” said President Fraccari.